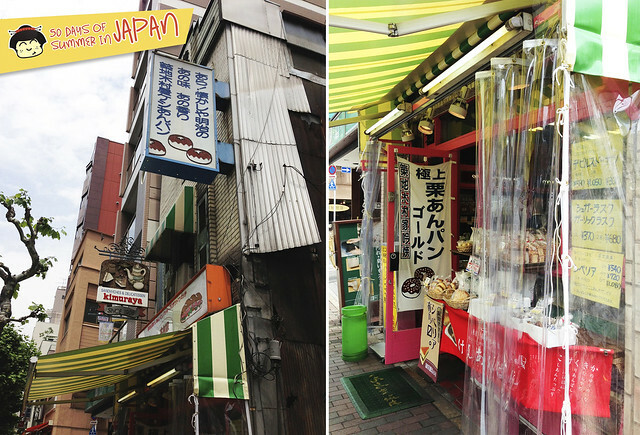 After making our rounds at the Tsukiji Fish Market, StalkerBoy and I decided to check out the surrounding neighborhood in search of breakfast. After our meal at Sushi Yasuda the night before, sushi for breakfast just wasn’t an option. 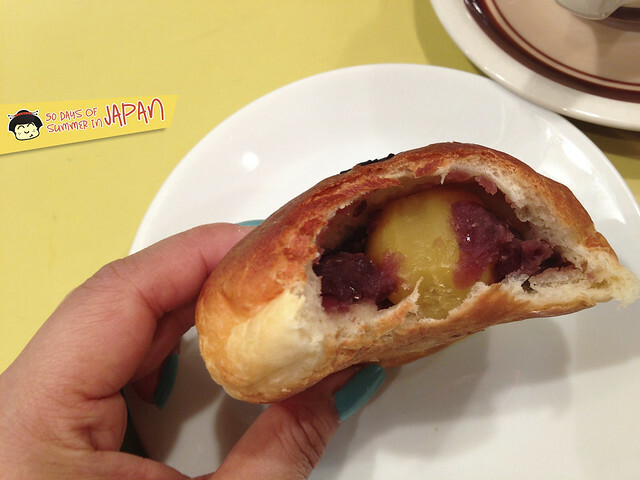 We found the small unassuming Tsukiji Kimuraya Bakery that has been making their sweet red bean anpan for over a century. 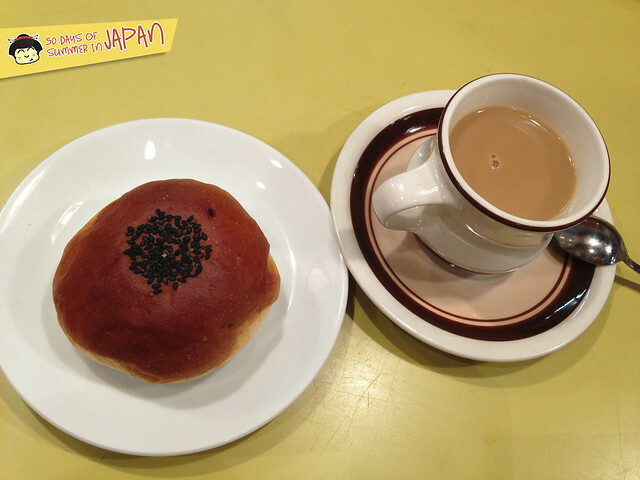 I chose the chunky red bean paste with chestnuts while StalkerBoy opted for the smooth version. Both were fantastic. Though we didn’t speak Japanese, the friendly staff tried their best to help us and even offered us to sit at the back. It’s a small and cozy retro space. 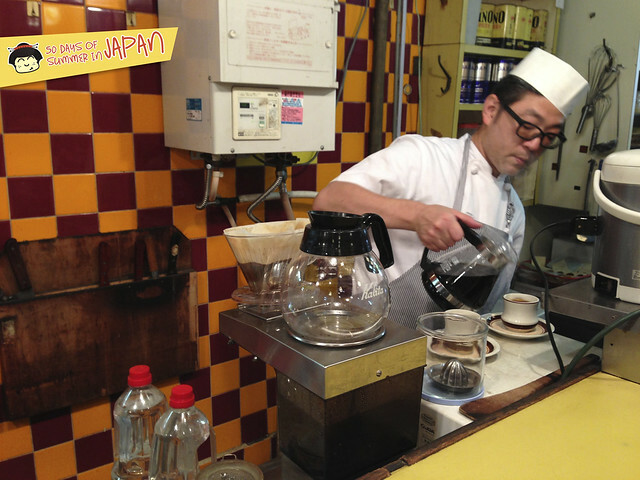 We felt like being taken back in time, sitting on stools by the mustard counter. Free coffee with our buns. Yes please! Onegai shimasu hai. My only wish was eating it warm, that would really take it up a notch. 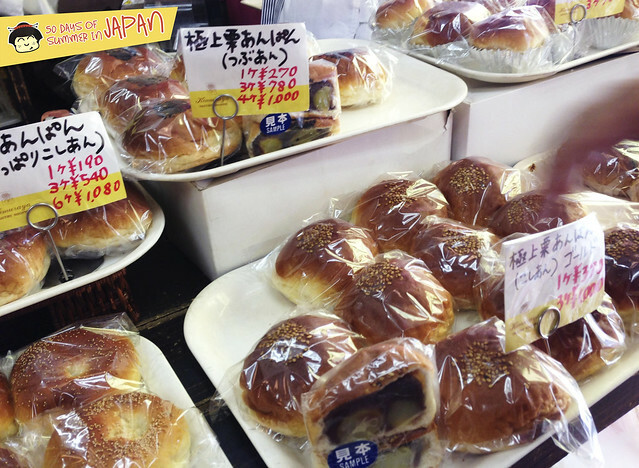 If you’re in the Tsukiji area I would highly recommend checking the shop and having an anpan or two. Great for breakfast or an afternoon snack. After researching online, I wasn’t sure if this shop is in anyway related to the famous Ginza Kimuraya, the Chinese characters I managed to understand look similar, but I couldn’t find any info. on this location. I guess this is more of a local bakery!? Regardless, it was a solid anpan.